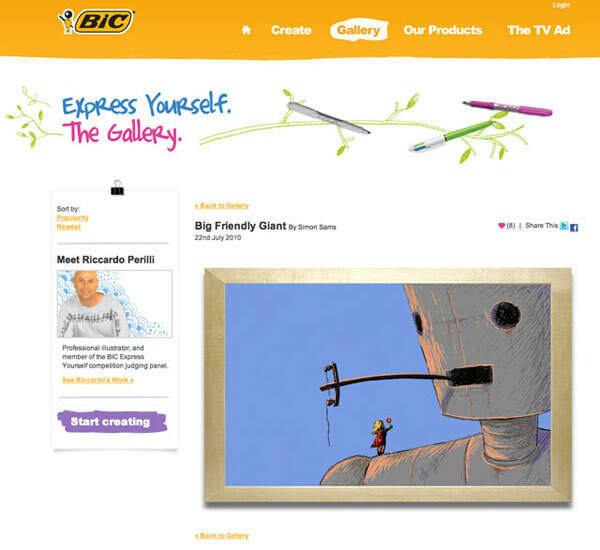 We recently developed the Flash sketchpad component for the BIC Express Yourself campaign site for our friends at HardHat Digital. The site features a great Flash-based sketch pad which let's users create their own artworks for the competition. It's been going really well, and some of the entries so far are mind-blowing! Check it out and if you're feeling artistic, get in there and maybe win an iPad! awesome work, some of the designs that people made using your tool were amazing. The number and quality of entries you had is testament to how good it is.